Having factory scheduled maintenance performed on your vehicle is absolutely essential. 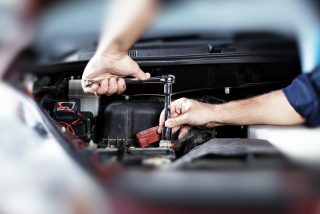 All vehicles are different, so every automobile has different needs when it comes to maintenance. 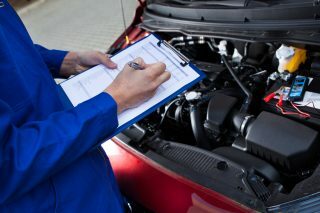 One car may need basic maintenance such as an oil change, tire rotation and several other minor services every 5,000 miles; another vehicle may need this service at 7,500 miles. The company that actually created your car sets these specifications, so it’s important to strictly adhere to this schedule. In severe climates, like the Las Vegas desert, there is a 3,000 mile recommendation on maintenance for most vehicles. When considering auto repair in Las Vegas, it’s also important to take into account the fact that vehicles require intermediate and major schedule maintenance as well. The mileage of these maintenance schedules is much longer than a basic schedule, but the services performed are just as important. These schedules can include anything from filter replacement to fluid replacement. Leavitt’s Auto Care can perform all of your factory scheduled maintenance, and we can do it at a great price. It’s important that you visit a Las Vegas auto repair shop whenever your factory scheduled maintenance mileage is approaching. These guidelines are set forth by the vehicle manufacturer in order to keep your vehicle on the road for years to come. Give us a call to set up an appointment, or just come by and visit us at Leavitt’s Auto Care.